I don’t cover a lot of funerals, but when called upon to do so, I rise to it. My media friends and I were cordoned off in two small media areas as we covered a funeral this week. We all appreciated why, and we all did a pretty good job. It’s been one of those weeks as a news photographer; one of those weeks we will all remember years from now. It started eight days ago with a brutal fatality crash south of Ada involving a sand truck, which I covered. Later that night in Seminole County, an SUV and a Konawa activities bus collided, killing three people, the two in the SUV, and a 12 year old girl from Konawa School. 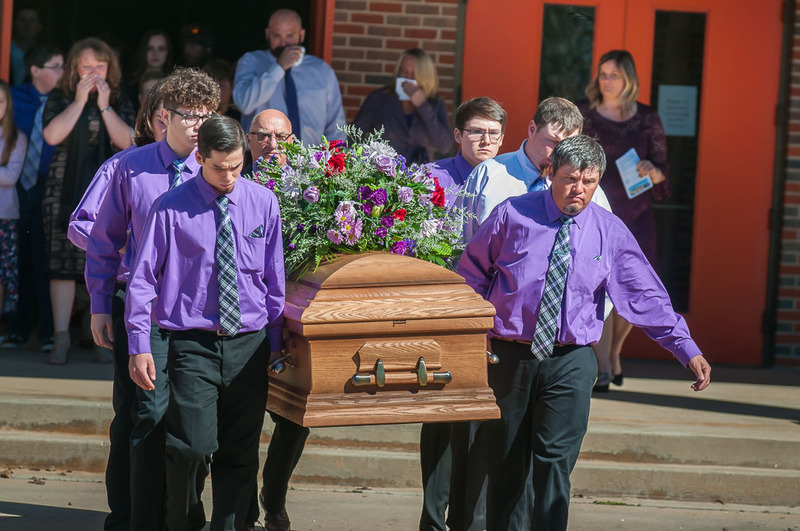 As the week went by, my newspaper and I got incredibly busy with not only of our usual sports and news, but also the coverage of the vigil, funeral, and fundraiser for the girl. 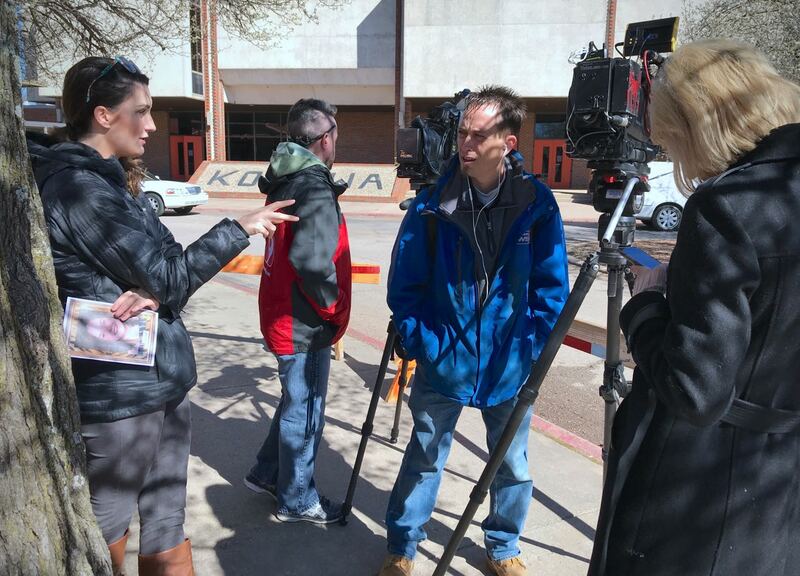 And though the Oklahoma City television stations and I (there was no other print media present) were restricted to designated media areas (understandably), we were able to do a solid job covering these difficult events. Then yesterday I covered yet another crash, involving a pickup rolling over, seriously injuring four people, three of whom were taken by air ambulance to Oklahoma City hospitals. An air ambulance prepares to lift off with one of three patients injured in a rollover accident northwest of Ada yesterday. My car is visible parked in a driveway at the left edge of the frame. One result of this hectic schedule was that my wife Abby and I didn’t get to see each other as much as we usually do, and we really felt it. When I got home last night from an 11-hour day, she and I couldn’t hold each other close enough or long enough. 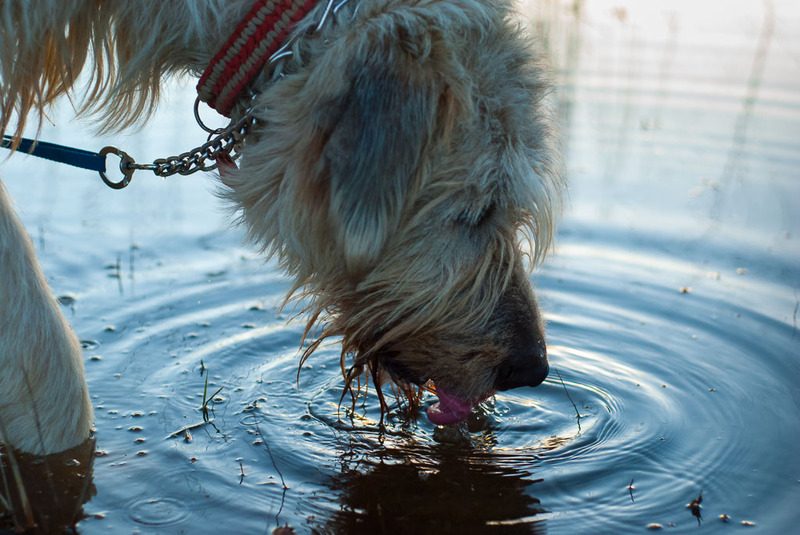 Hawken the Irish Wolfhound laps up pond water on our walk Thursday. It’s always good to come home to my wife and our pets who are always happy to see me.